St. Anthony of Padua Gifts, Including Rosary Beads, Books and Statues. 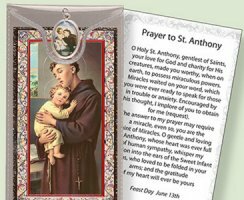 Saint Anthony feast date 13 of June, St. Anthony be our patron, our protector, and our advocate in life and in death. Saint Anthony Rosary & Booklet Set. Saint Anthony Wooden Rosary Box & Glass Rosary. 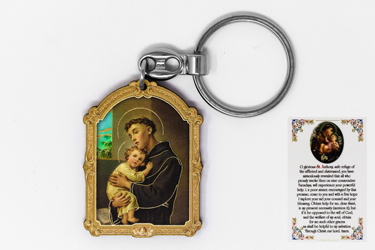 St Anthony Key Ring & Prayer Card Set. 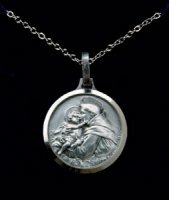 Sterling Silver St. Anthony Pendant. St. Anthony Bronze Art Florentine Statue. St. Anthony of Padua Statue by Veronese 10 Inch. Saint Anthony Statue & Candleholder with Tee Light. 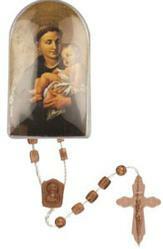 St. Anthony of Padua Wooden Rosary & Novena Book. Saint Anthony Rosary in a Perspex Box. 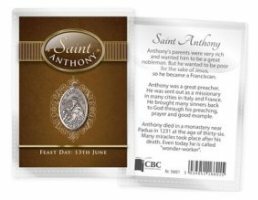 Saint Anthony Prayer Card With Resin Drop Medal. 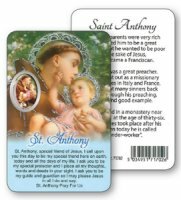 St. Anthony a Special Friend of Jesus Prayer Card. Saint Anthony Florentine Porcelain Holy Water Font. 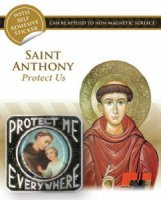 Saint Anthony Prayer Card & Relic. 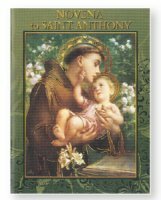 Saint Anthony Novena & Prayer Book 40 pages. 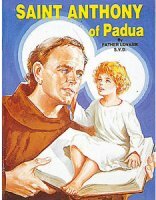 St. Anthony of Padua Book. Book St. Anthony of Padua. St. Anthony Relic Medal with Prayer. Votive Candle & Prayer Card to Saint Anthony of Padua. Pillar Candle - Saint Anthony. Square Saint Anthony Car Plaque. Pocket Token - St. Anthony Patron Saint of Lost Articles.